The independent Local Government Boundary Commission for England has been carrying out an electoral review of South Cambridgeshire District Council. This is separate from the review of Cambridgeshire County Council’s divisions, which they have also been conducting recently. The Commission is now inviting comments on its draft recommendations, which include a reduction from 57 to 45 district councillors. 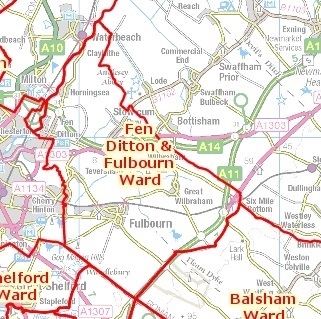 Fen Ditton would become part of a large ward formed by combining the existing wards of Fulbourn, Teversham and The Wilbrahams, which would be jointly represented by three district councillors. 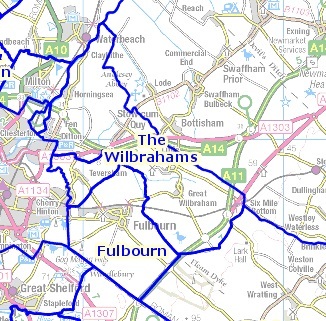 The maps below show the existing wards (blue) and the proposed new one (red). Please click here for more details and here for interactive maps. The consultation closes on 25 July 2016.